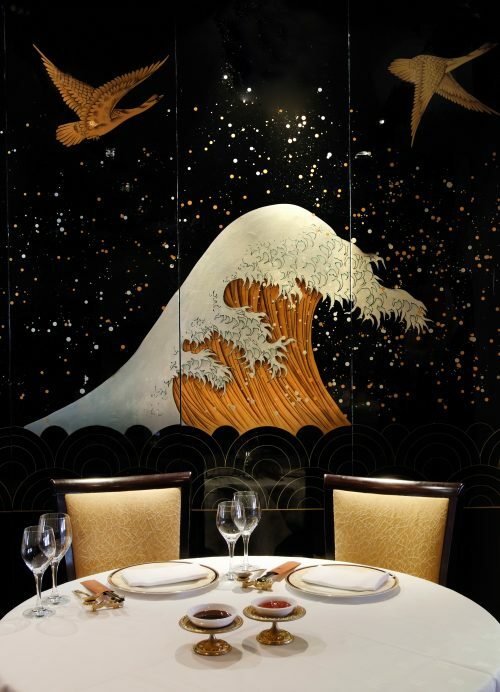 As Chinese restaurants go, there’s no doubt you’re spoiled for choice if you live in London, delicious options including favourites Silk Road and Mama Lan. 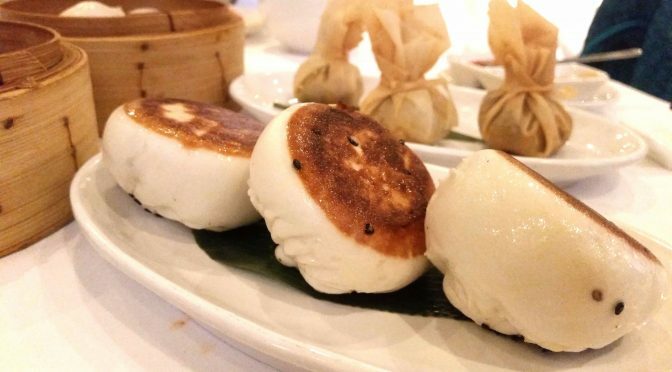 This time we plumped for one of the posher options with a beautiful lunch at Royal China on Baker Street, who were also kind enough to share the recipe for their delicious pork puffs. Happy days! I haven’t yet been to the other five in the group, but Baker Street is opulent and feels luxurious, with beautiful decor, rich black and gold tones and a huge lacquered mural. Royal China is known for its dim sum, and everything we had was fresh and light, with perfectly crispy wontons. I love a good cheung fun and the prawns were dense, with soft, flavourful skins. 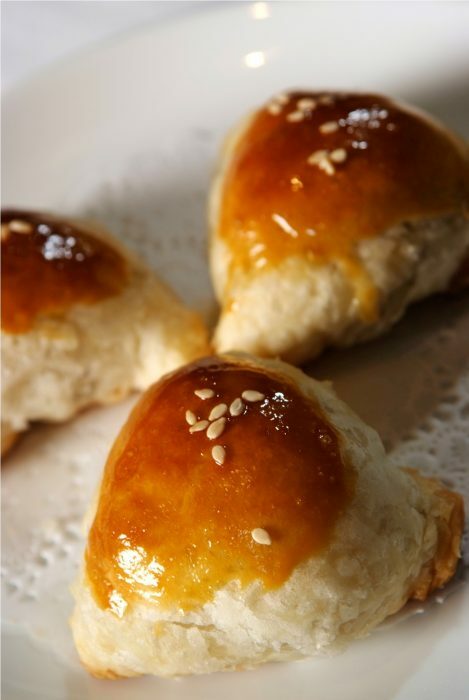 The honey-glazed pork puffs are a MUST, with their flaky, rich pastry, beautiful glaze and sweet pork filling. So good job Royal China sent me the recipe to crack on with at home! Have a go, it’s well worth it. In a large bowl, combine all the ingredients for the marinade. Add the pork, cover with plastic wrap and leave in the fridge to marinate for as long as possible, preferably overnight. When ready to cook, preheat the oven to 180°C. Remove the pork from the marinade and reserve marinade. Place the pork in a roasting pan and roast for 40 minutes or until internal temperature reaches 63°C. While pork is roasting, bring reserved marinade to a boil in a small saucepan. Once the marinade has boiled you can take it off of the heat. Baste pork halfway through cooking with two tablespoons of marinade. Cool remaining marinade to room temperature. When pork is done, remove from the oven and let rest for 15 minutes, then cut the pork into ½ cm cubes. Toss the cubed pork in enough of the reserved, cooled, marinade to coat. The pork mixture should be room temperature before filling the pastry. Cut each sheet of puff pastry into six 7.5cm squares, for a total of twelve. Brush the edges of each square with beaten egg and then place a heaped teaspoon of the pork filling in the centre. Fold the square in half to create a triangular pastry. Tuck the triangle ends under to round off the triangular shape. Place on a roasting tray lined with parchment paper and brush egg wash over the top, sprinkle sesame seeds over the top of the pastries and cook in the oven for 18-20 minutes until the pastry is golden. Serve immediately. **Tip: There is enough marinade for up to 700g pork. Buy a whole pork tenderloin and cut off the 260g needed for this recipe. Marinate and roast both pieces and use the extra Char Sui to make delicious sandwiches, fried rice, or roast pork salad! 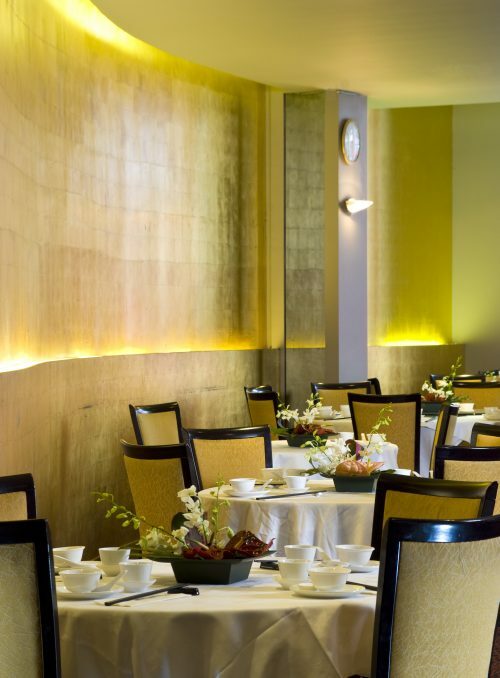 To book a dim sum feast at Royal China have a look here.